housing and multiple wiring options. 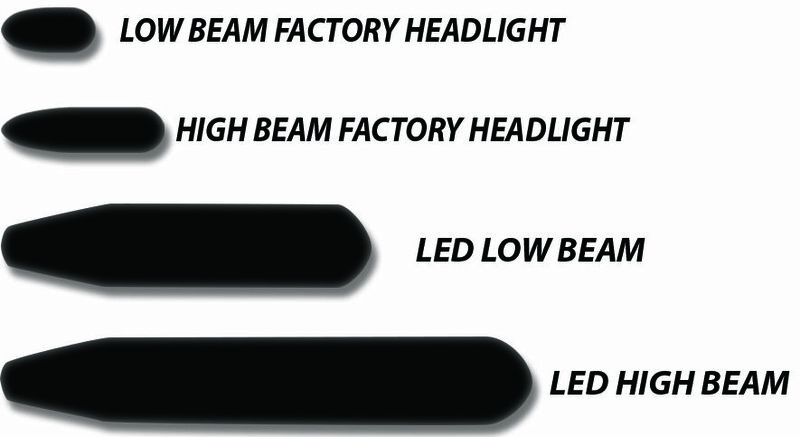 The Vision X LED headlamp produces an intense blanket of light and comes complete with an LED Halo Ring that not only increases light intensity but distance over factory production headlamps. Sold individually. 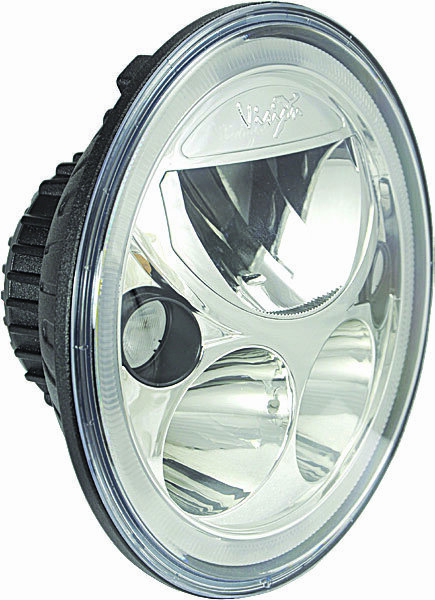 The Vortex LED Headlight features a bright halo ring that can be active without having the low beam or high beams on. Having a 7" halo on the front of your vehicle will not only turn heads, but also provide you with the optimal lighting options for the right conditions. 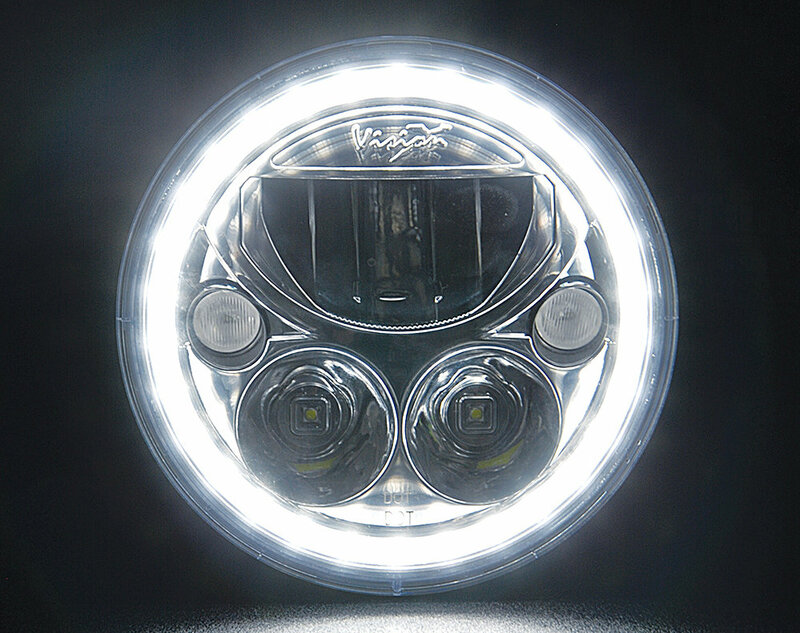 Equipped with a Halo LED Ring, the Vortex LED Headlight also comes packed with an extremely powerful high-beam, and a wide spread low beam. With such diversity in beam pattern, you can rest assured that youll have to right lighting for the right scenario at any given time. Headlamp has standard H4 plug.